Sharon is a founding Trustee and Chair of New Zealand Infant and Toddler Consortium. As a RIE® Associate she is a passionate advocate for our youngest citizens and their families. She provides professional development to Early Childhood Centre teams. Sharon consults with and mentors leaders and teachers. She studied at the Pikler Institute in 2008 and 2014. Sharon teaches the RIE® Foundations: Theory and Observation™ course. 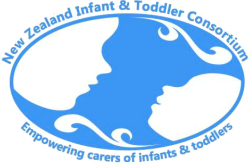 She facilitates RIE® Certified Parent and Infant Guidance Classes. Anita has been a part of the New Zealand Infant and Toddler Consortium since its inception in 2011. An educator for over 20 years, Anita has a wealth of experience in working with infants and toddlers. From early on in her practice, Anita is inspired by Magda Gerber’s Educaring® Approach. In May 2010, Anita completed the RIE® Foundations: Theory and Observation™ course. She continues to share her passion with children, whanau and teachers. She currently works as a Professional Learning Facilitator with Education Leadership Project (ELP). Justine’s background is in early childhood teaching and early intervention. She is a Professional Teaching Fellow in early childhood teacher education. Justine has particular interests in authenticity and developing respectful, responsive and reciprocal relationships with learners of all ages. She also facilitates adult education for Playcentre and is a parent to four children. Justine completed her RIE® Foundations: Theory and Observation™ course in 2012. She has been a member of the NZITC Board since 2014 and is Board Secretary. Helen’s journey with RIE® began in 2011, completing the RIE Foundations course. 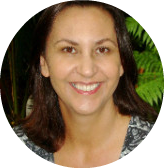 Subsequently, Helen joined the NZITC board and loves the opportunity it brings to share Magda Gerber’s Educaring® approach. Passionate about sharing this work, Helen is an Early Childhood Consultant working with families and professionals through consultancy and professional development. She holds a bachelor of education and has enjoyed over nine years of teaching and learning with children and families in the Franklin region. Malenka has been on the board of NZITC in the Treasurers role since 2014. Malenka completed RIE® Foundations: Theory and Observation™ Course in 2011. She holds a Bachelor of Education (Teaching) from the University of Auckland. She is an educator at Oma Rapeti Early Learning Centre in Freemans Bay, Auckland. Malenka believes in the critical role of strong relationships with teachers, whānau and children. 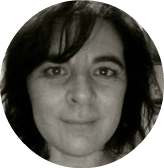 Ania joined the NZITC board in 2012. Currently her role is IT Manager. Ania has attended the summer course at the Pikler institute in 2009 and completed the RIE® Foundations: Theory and Observation™ course in 2010. She enjoys applying this knowledge into practice every day working with the children at The Learning Centre in Ponsonby, Auckland. Ania is also passionate about sharing this work with other adults. Helen joined us on the Board in 2016 as Marketing Coordinator. Magda Gerber and Emmi Pikler have been influencing Helen’s life since her studies in 2007. Since then, she has attended the Summer Course at the Pikler Institute in Budapest in 2009. She then completed the RIE® Foundations: Theory and Observation™ Course in 2016. Helen is passionate about creating strong, authentic relationships with children, families and teams. She is currently focussing on supporting teams with their learning journeys.